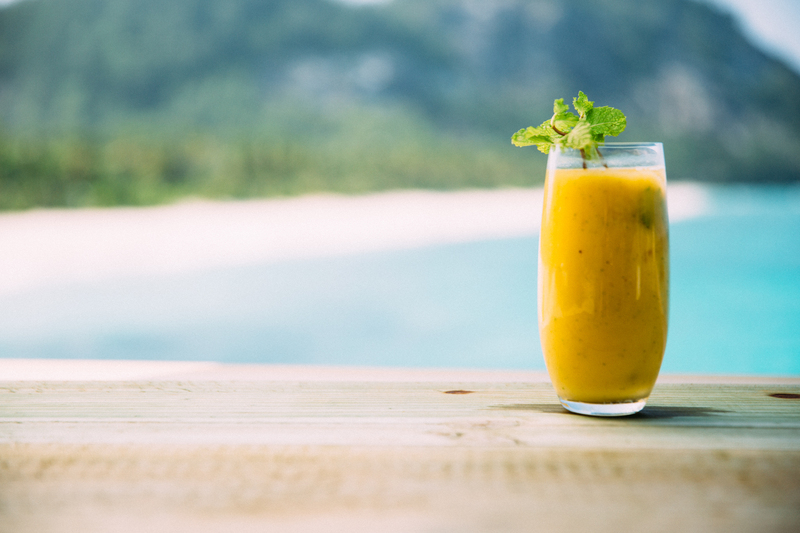 Sip on this refreshing and cooling smoothie made from juicy mangos and fresh mint. Remove the skin and seed from the mango and cut the flesh into cubes. Add the mango, mint, yoghurt and ice to the blender and blitz until smooth. Alter the smoothie according to your preferences – if you enjoy a slightly thinner consistency, add some milk or coconut water, and if you prefer it a bit sweeter, add a drizzle of honey. Pour into a beautiful glass and garnish with mint.